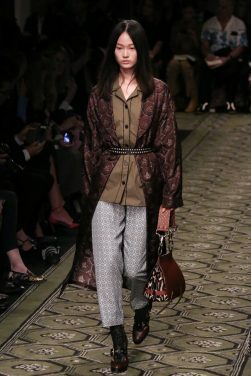 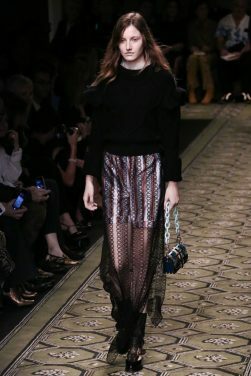 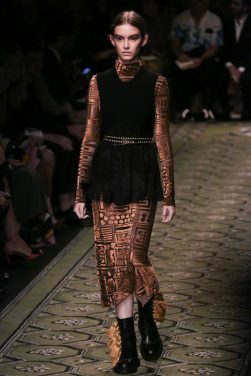 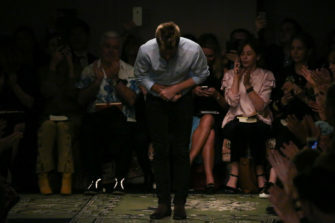 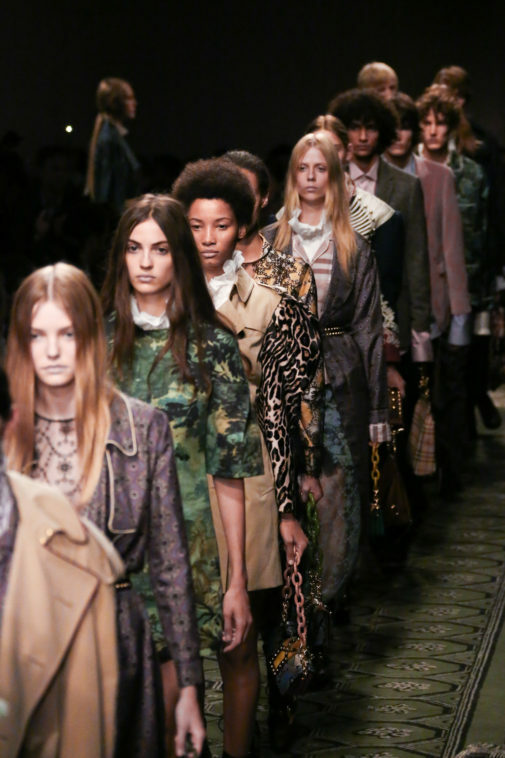 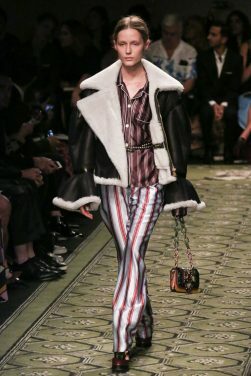 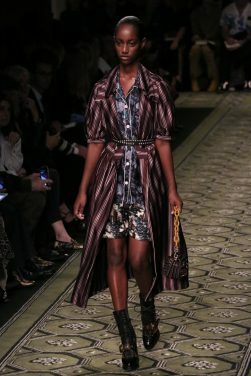 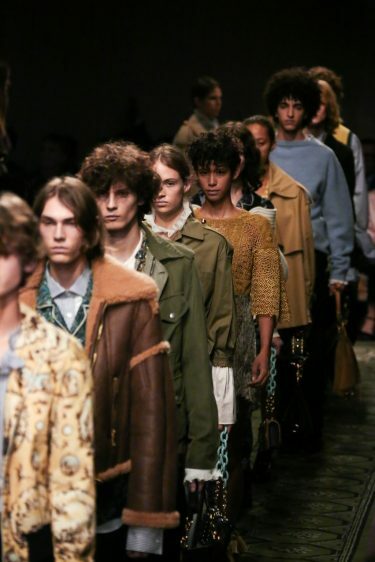 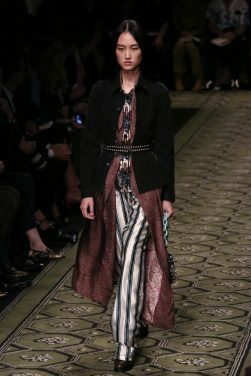 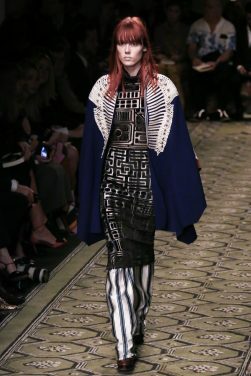 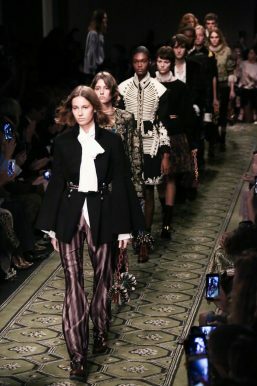 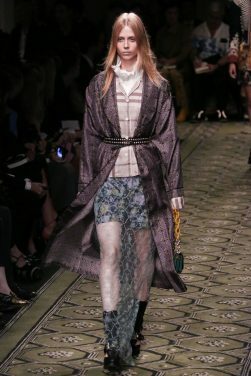 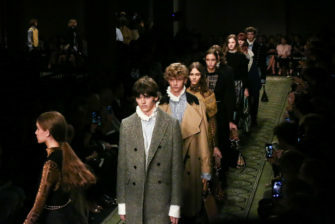 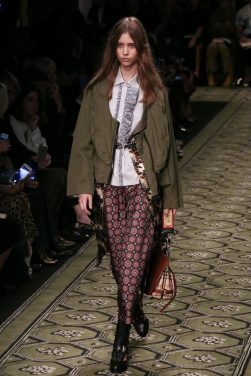 Ever ahead of the curve when it comes to innovative and intelligent digital marketing techniques, Burberry today jumped on the back of the latest industry revolution with their first see now, buy now collection. 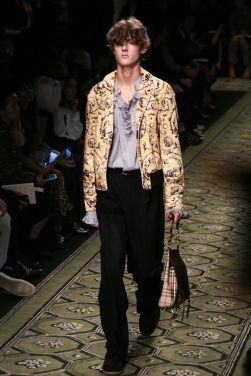 Shown in Soho’s Maker’s House, the collection comprised of 83 looks for both men and women, all of which will be available to buy straight from the catwalk. 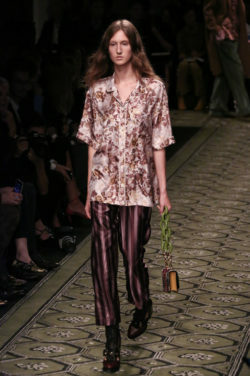 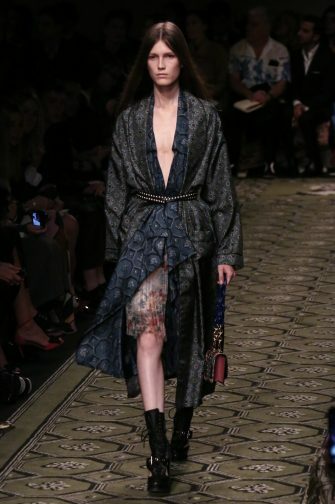 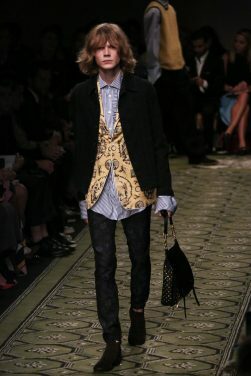 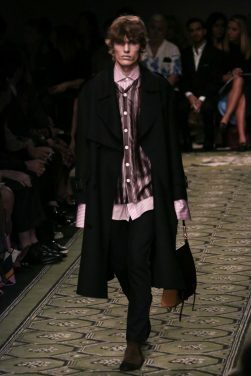 Inspired by Virginia Woolf’s Orlando, the collection played with traditional ideas of the masculine and the feminine. 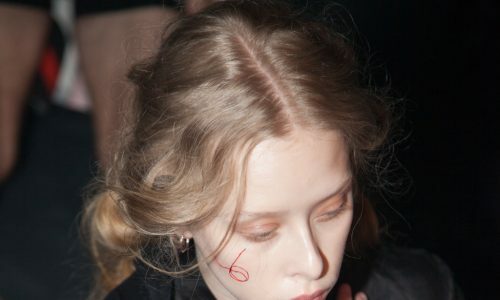 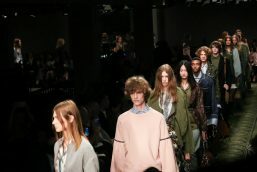 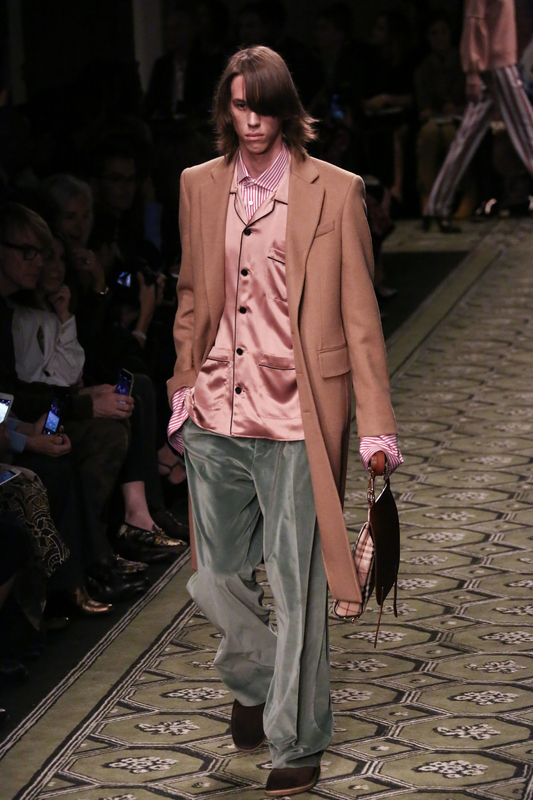 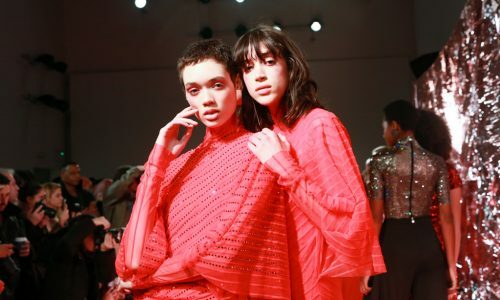 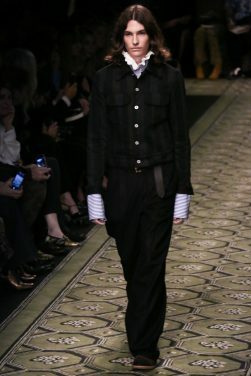 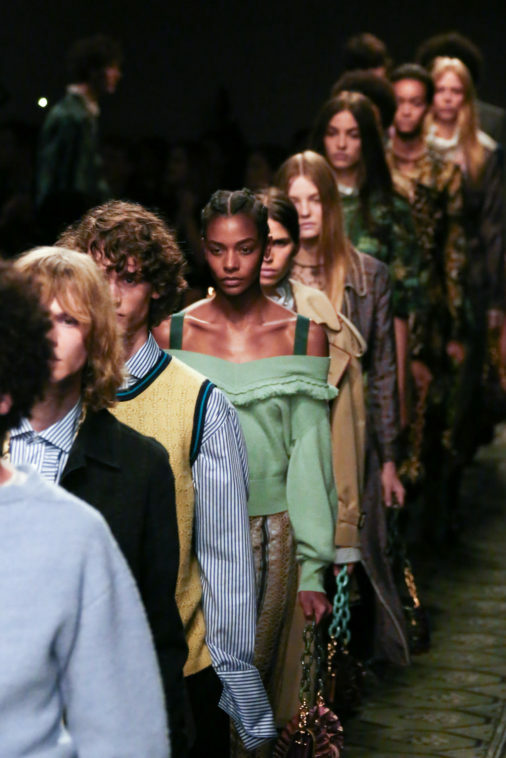 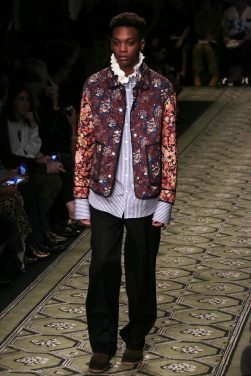 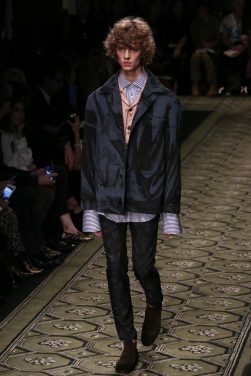 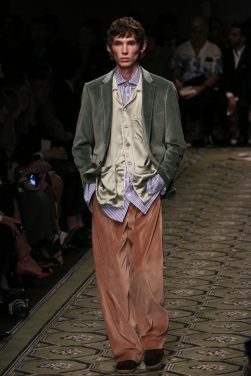 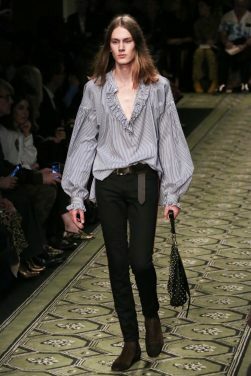 The men’s offering included slouchy, oversized shirts with ruffles at the neck and blouson sleeves, as well as floral prints and soft pastel-hued outerwear. 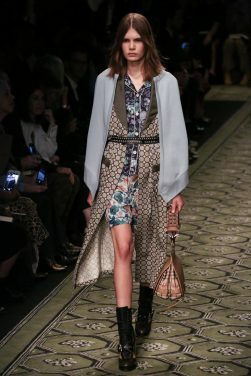 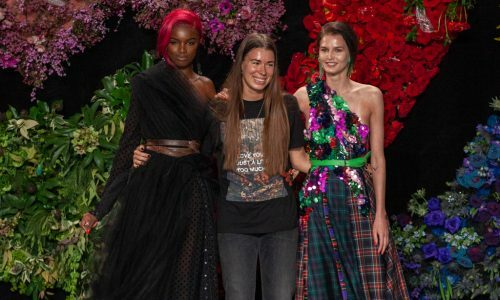 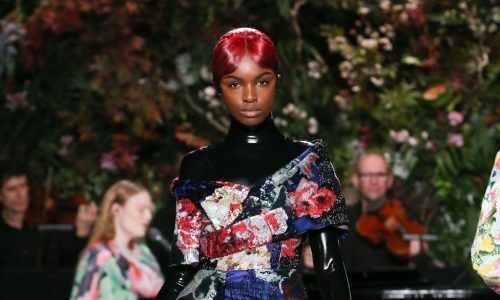 The women’s pieces followed much the same theme, with sumptuous fabrics and textures falling around the body in layers to create a series of beautifully constructed looks. 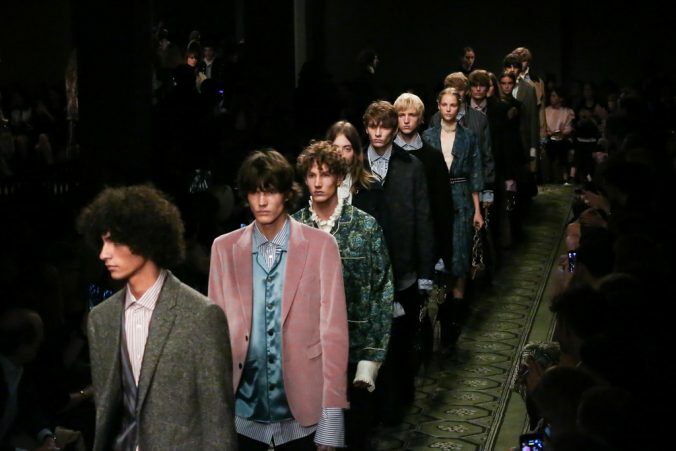 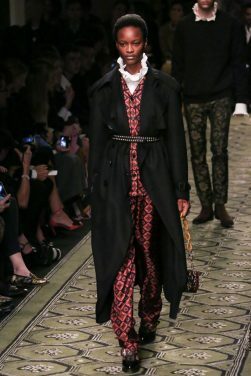 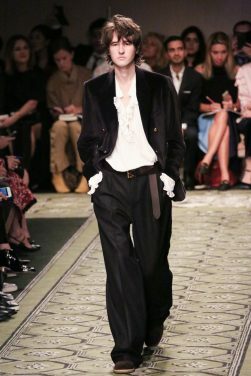 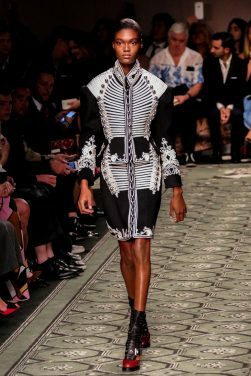 Often belted at the waist to neaten the silhouettes, longline coats were thrown over floral and lace dresses, or paired with tailored trousers that could easily have been part of the men’s collection. 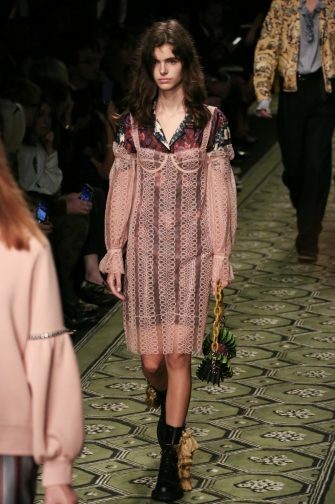 Thanks to the luxurious combination of fabrics, patterns and colours, the entire collection had a richly romantic appeal that evoked the bohemian ideals of the Bloomsbury set (of which Woolf was a part). 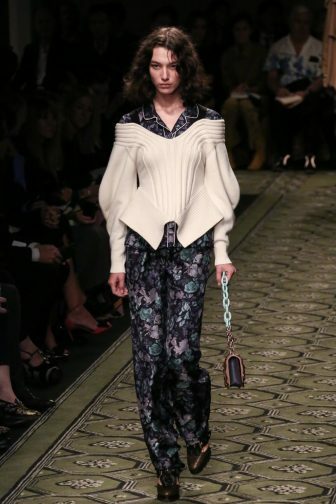 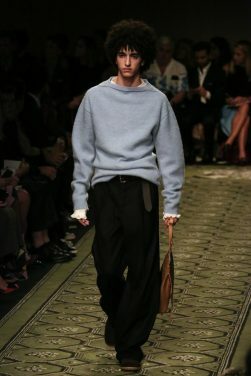 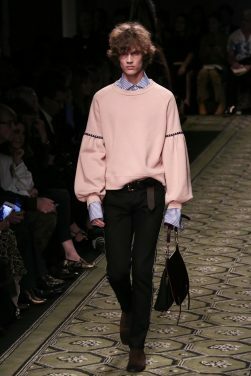 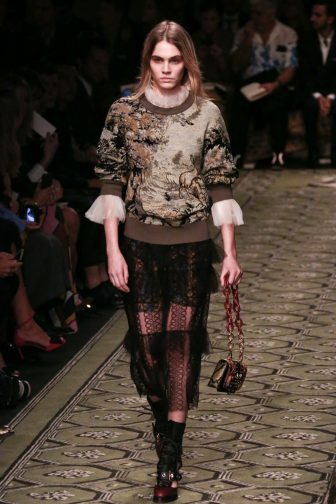 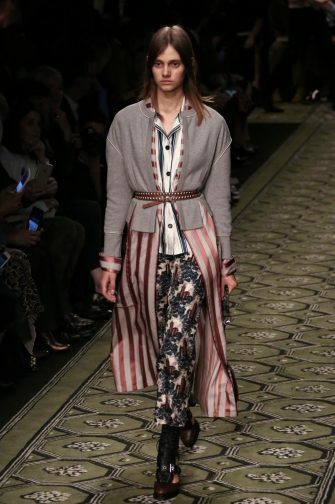 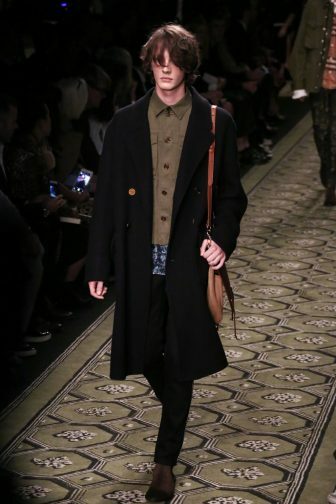 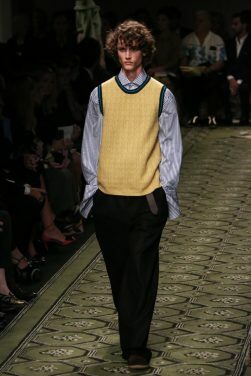 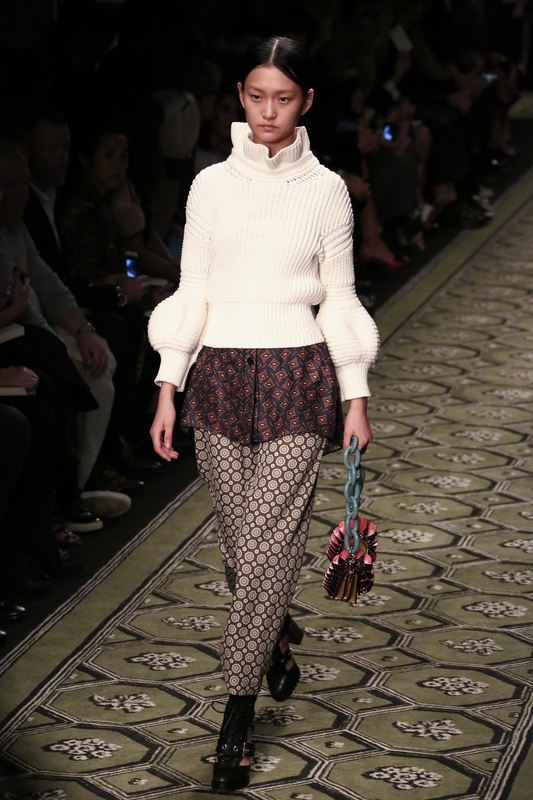 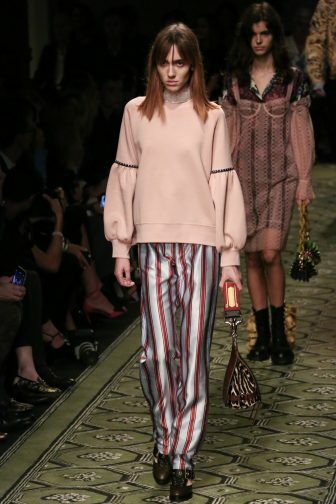 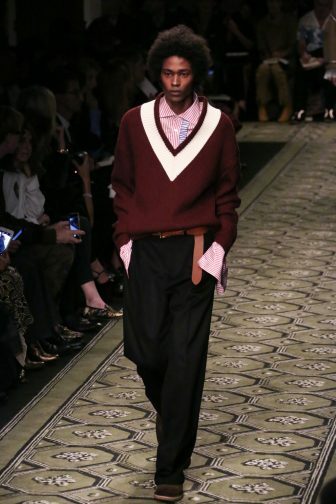 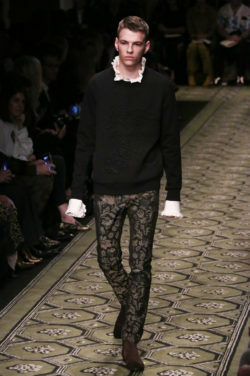 Soft, cosy knits were a highlight for both the men and the women. 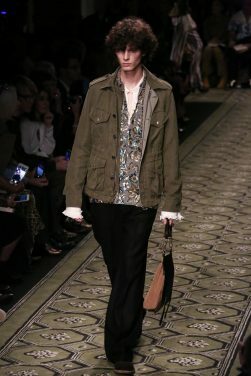 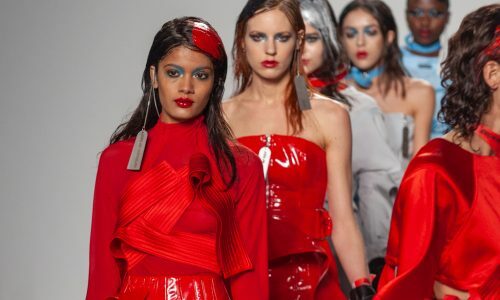 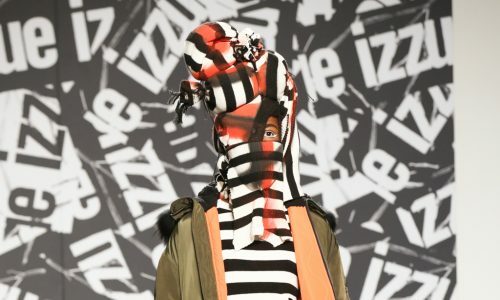 In keeping with the see now buy now concept, this was seasonless dressing; technically it was presented during the spring/summer session, but the show was certainly packed full of designs appropriate for the coming autumn and winter months. 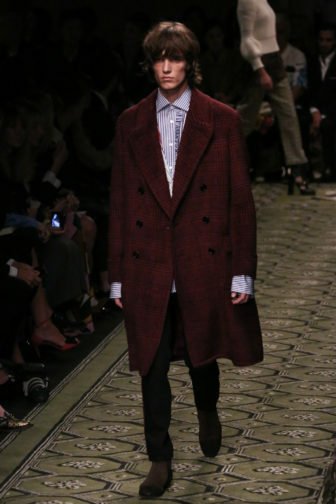 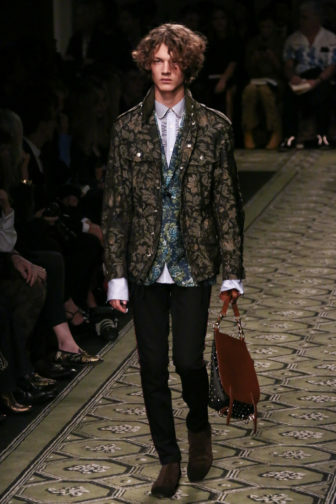 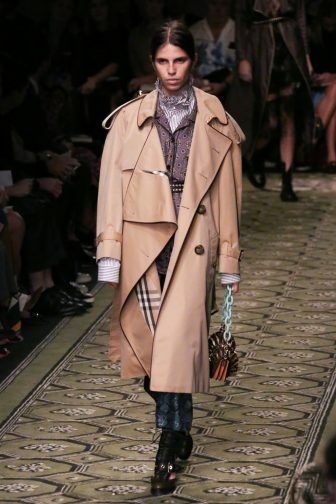 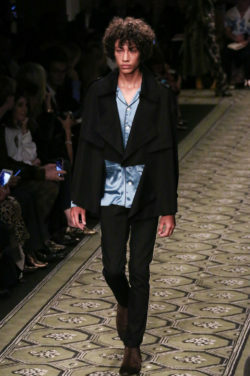 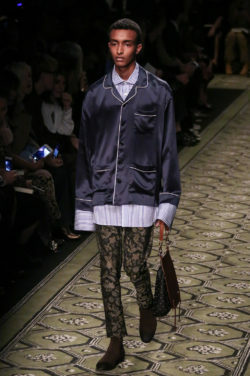 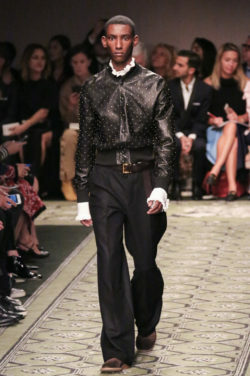 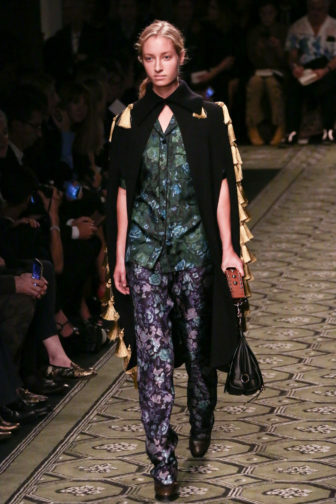 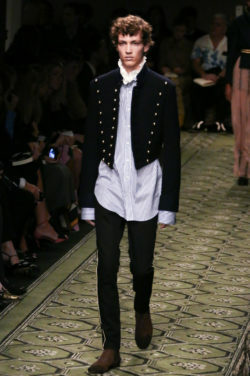 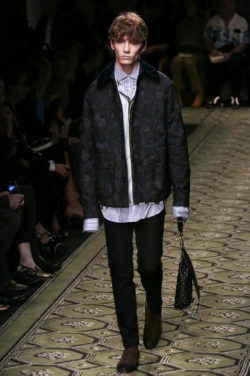 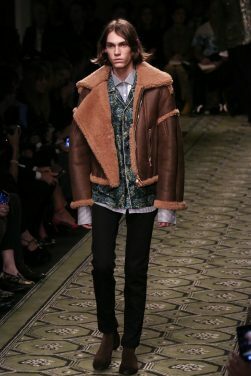 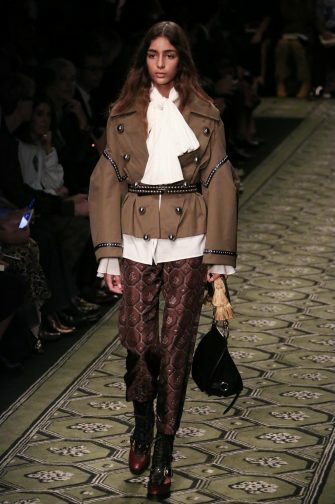 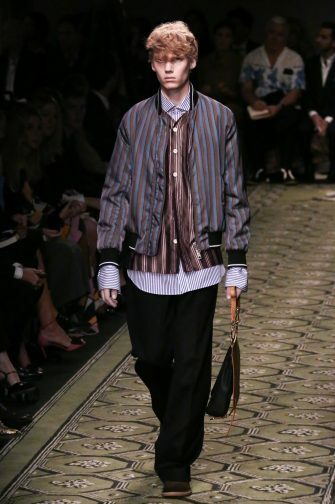 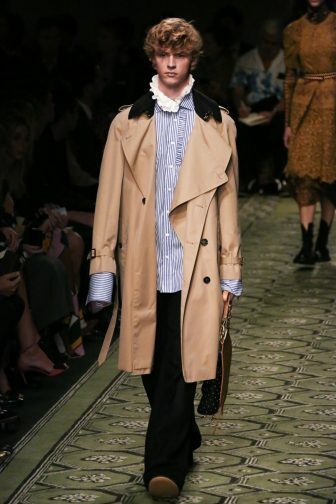 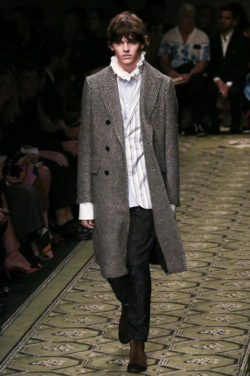 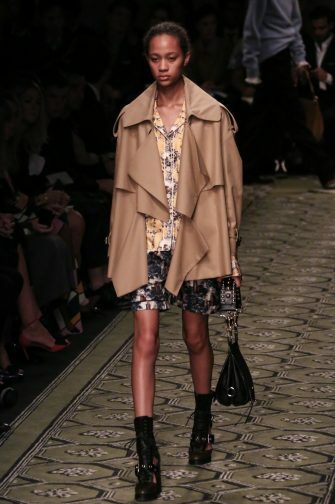 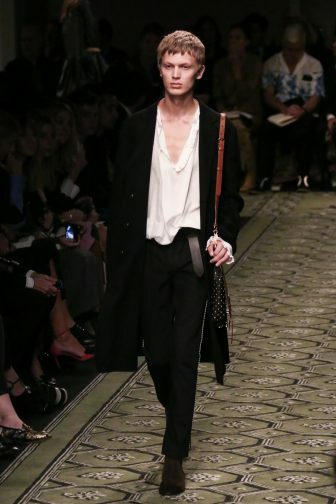 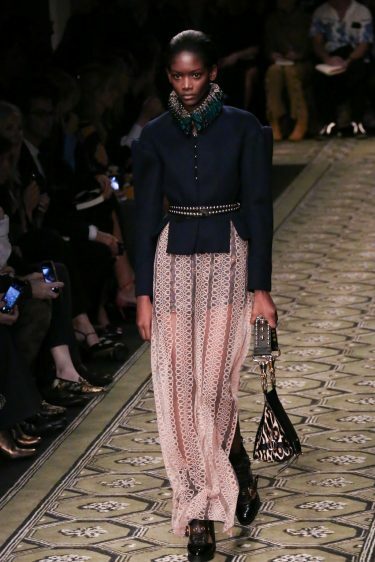 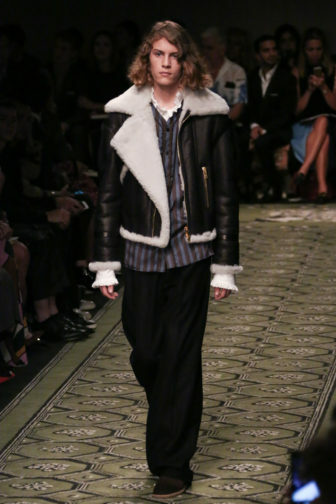 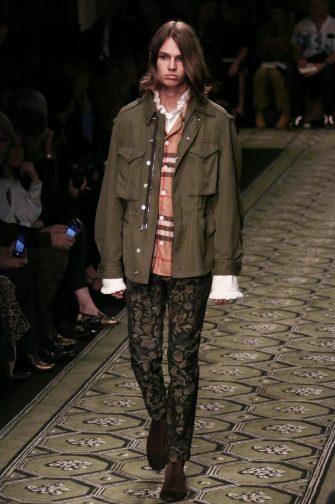 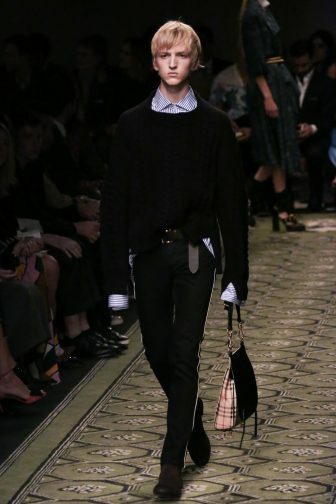 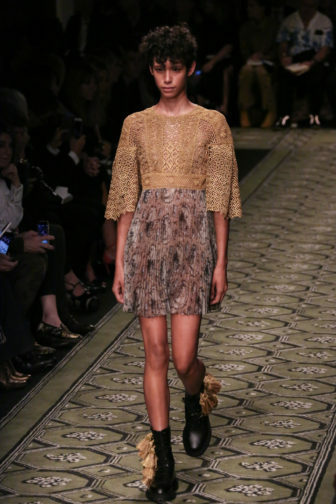 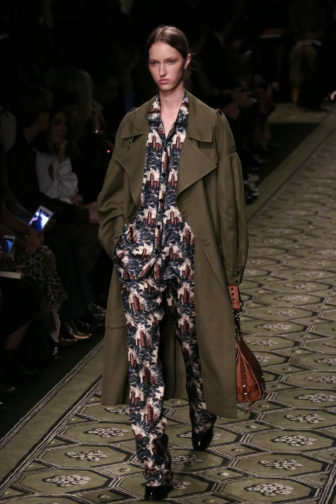 A covetable collection – but then, what else would one expect from Burberry? 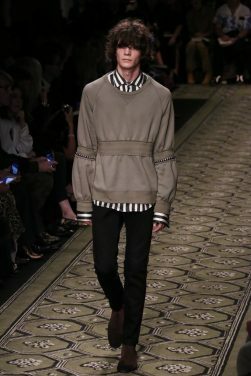 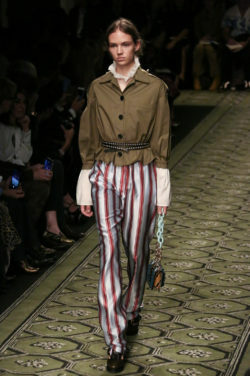 For further information about Burberry visit here.